The SOPHIE Citizen Science Program will bring together people involved in the tourism industry to help create awareness of Oceans and Human Health issues. 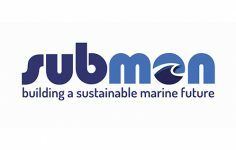 The project will develop new materials to enhance both ocean literacy and citizen science approaches, with a focus on the relationships between seas, oceans, health and wellbeing. 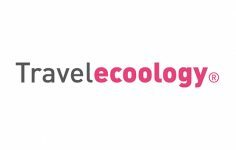 Lead by Travelecoology and SUBMON, the Citizen Science Programme will encourage tourism operators and their clients to help build knowledge on Oceans and Human Health, while also enhancing visitor experiences. The Programme will test whether a network of skilled ‘Tourism Agents’ can effectively contribute to monitoring areas identified in the Marine Strategy Framework Directive and the Blue Health Survey. Designed as a pilot, the project will identify the strengths, weaknesses, and factors critical for success when launching such a network across Europe. It will also identify and draw attention to existing tourism resources that can contribute to oceans and human health awareness amongst tourists, visitors and local communities in European coastal destinations. These resources will be integrated into the WILDSEA Europe network. “Blue Effect”, an initiative aiming to understand how marine ecotourism can impact the wellbeing of participants, and their attitude towards environmental challenges. Nearly 400 other tourism activities – such as SUP, yoga, meditation retreats and kayaking – have also been found across Croatia, France, Italy, Ireland, Portugal, Spain and the UK. The operators offering these activities, together with those currently belonging to WILDSEA Europe, will be invited in Autumn 2018 to join SOPHIE’s Citizen Science Program.